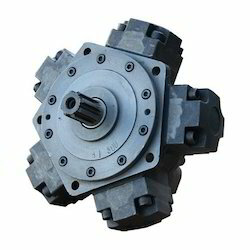 Prominent & Leading Manufacturer from New Delhi, we offer hydraulic motors. Backed by a sound domain experience and immense industry knowledge, we are offering Hydraulic Motors. The offered hydraulic motor is accessible in numerous models & other related specifications, so as to meet the variegated expectations of our customers. Our provided hydraulic motor is provided with its repairing & maintenance service that is carried out by our experts. Looking for Hydraulic Motors ?